Woody based perennial, linear grey green foliage. 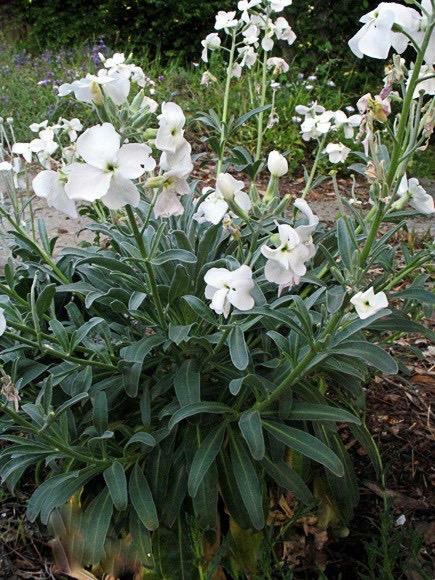 Upright spikes of single white sweetly scented flowers, June to August. Sun and good drainage. Cut away spent flower spikes for repeat flowering.